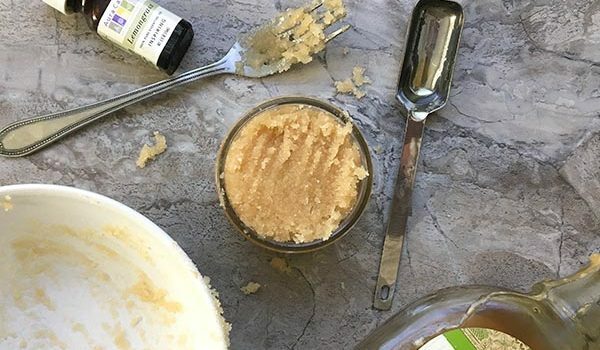 Treat yourself to some of these sugar scrub recipes for winter skin. The sugar and oils soften your skin while the scents improve your mood. This winter has actually been pretty mild here in Atlanta, but even if temps haven’t been particularly brutal, the dry air has done a number on my skin. These sugar scrubs for winter skin will help exfoliate and moisturize to heal your dried out hands, feet, knees, and elbows! Sugar scrubs work best when you store them in an airtight container. I like to use mason jars or reclaimed glass jars. If you’re going to use reclaimed jars, first be sure that you clean it out well, so you don’t end up with a scrub that smells vaguely of pasta sauce or marinated artichokes. Yuck! 1. 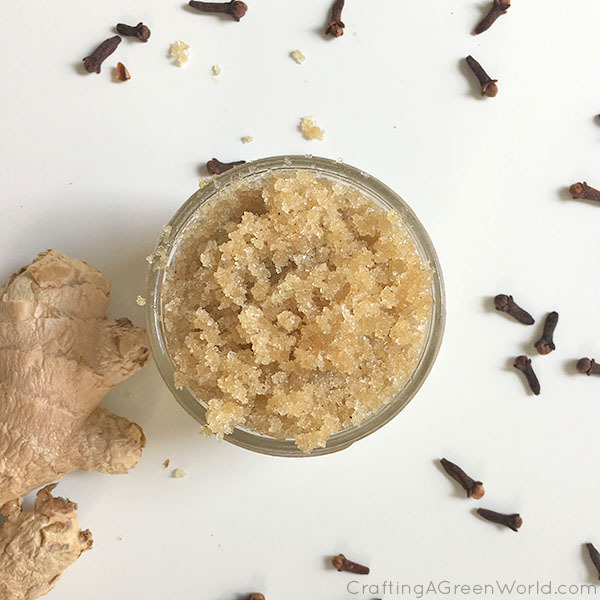 Maple Lemongrass Sugar Scrub – This refreshing scrub is a perfect pick-me-up if you’re fighting the winter blues. 2. Calming Lavender Scrub – Soothing lavender essential oil makes this scrub as soothing as it is moisturizing. 3. Vanilla Peppermint Candy Cane Scrub – Are you missing the holidays? Treat your skin to some festive candy cane goodness! 4. 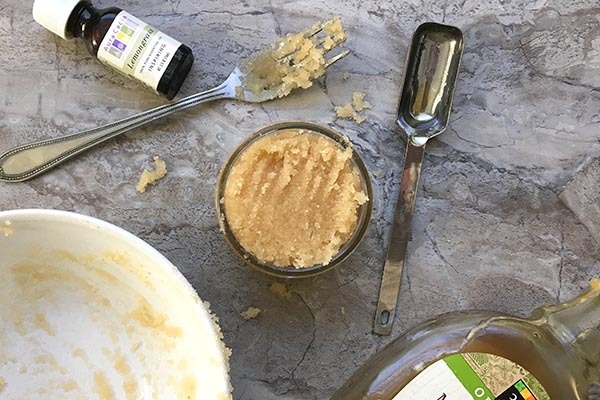 Argan Oil Scrub – Skip the raw honey to make this recipe vegan. You can add a little bit of extra carrier oil, if needed, to get the right consistency. 5. 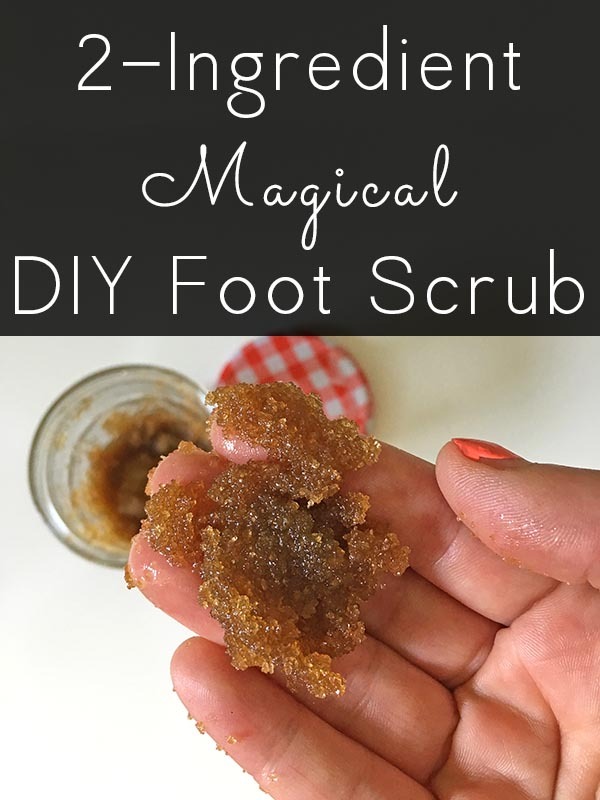 Magical Foot Scrub – If your feet are particularly rough and dry this winter, this scrub is just what you need. 6. Spiced Apple Cider Scrub – Do you love fall, all year round? This spiced cider scrub is going to make your day! 7. Homemade Coffee Scrub – There is actual coffee in this scrub recipe! 8. DIY Lemon Sugar Scrub – Energizing lemon essential oil makes this scrub a great morning pick-me-up. 9. 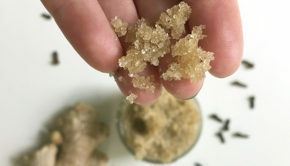 Warming Spiced Sugar Scrub – The winter and cloves in this scrub recipe warm your skin while the sugar and oil soften it. 10. Grapefruit Sugar Scrub – Choose the essential oil option for this recipe, since fragrance can contain nasty chemcials. 11. Homemade Sugar Scrub Bars – If loose scrubs aren’t your thing, make a scrubby bar instead! 12. 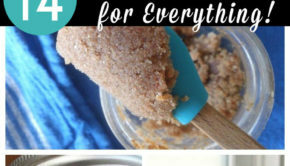 Chocolate Sugar Scrub – Is there anything chocolate can’t do? This scrub smells amazing!